When you’re charged with a crime in Michigan, potential clients always tell me how scared they are, or just how nervous they are about going to court. I explain to them that they are likely scared or nervous about things that are statistically unlikely to even happen. We discuss each thing that is making them feel that way, and we can usually take at least of them off of the table. I tell them that it may feel like nerves or terror, but it’s really about what I call “the great unknown”. A person who has never been charged with a crime before is completely in the dark about the process, and likely doesn’t even know where the courthouse is located. A person who has been charged in the past, is equally anxious, because it may be a different type of charge, or they are returning to court with a record now, which they are worried will eliminate many of their options they had the first time they appeared in court. Once we better understand that the client is more anxious than anything, we begin to understand why they are feeling like that. The client is anxious because they have a job, a family, goals in life, and having a criminal record, losing a license, going to jail, and other consequences will simply change their life, sometimes in dramatic ways. All of those feelings are valid, because a criminal charge is the first step to major changes in someone’s life. The client feels the weight of these consequences closing in around them at a rapid pace, and they don’t know how to react. Clients feel powerless against the “other side”, which they believe to be the judge, the prosecutor, the police, probation and society. Fear of what others will think begins to set in, and a lot of clients at this point simply throw their hands up in the air, and give up, or try to get it over with as soon as possible. The worst thing, but I completely understand, the most natural thing to do, is think about giving up, and simply accept the outcome for what it is, because what power does the client have to change it? Many clients first instinct, is “well, maybe if a call a lawyer, he will know how to help”. Yes, hiring a lawyer is a good thought, because according to the State Bar of Michigan, that particular lawyer is deemed to have the training to assist clients with their legal needs. The problem that I see with the process, is that clients believe that all lawyers are created equal, and it’s like buying a flat-screen television. For a television, you look online, visit stores and simply make your decision based upon it being a flat-screen, and the price they are offered; most people compare by price, and just make a quick decision, because they all seem relatively the same. ALL LAWYERS ARE NOT THE SAME. Any lawyer can put on a suit, walk into court with you, use big words and tell you that you got a great result. Will did you? Were you treated like everyone else in court, because that’s how you feel about yourself? Did the process feel like an assembly line where you were simply handed off without actually doing anything to make your case different from anyone else? If you’re looking to buy or build a house with a roof, walls and doors, then you can hire any licensed crew to assemble a roof, walls and doors, just like you can hire one of thousands of licensed lawyers in Michigan, and get a similar quality. If you’re looking to build something that is a reflection of who you have been in the past, present and the future then you want to hire a builder that can portray your version and customize the outcome of the house. This is the same exact thing that is possible in a courtroom. People just don’t realize the possibilities until they encounter it. 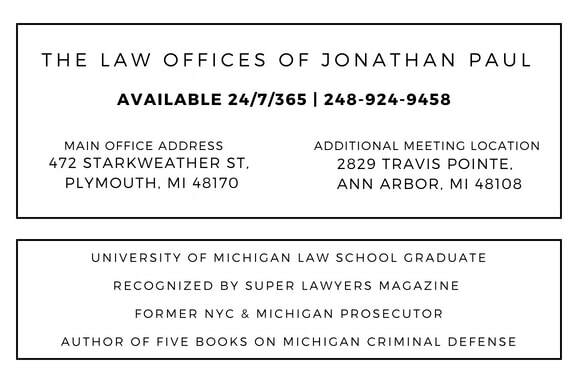 If you’re charged with a crime in Washtenaw County, I strongly encourage you to do something other than HIRE A LAWYER. That is the easiest thing to do, and quite frankly the laziest thing you can do other than skip your court date. If you want to take your case seriously, you should be RESEARCHING LAWYERS, and that doesn’t mean comparing prices and what the lawyer says the outcome will be. It’s unethical, and misleading to tell a client what the result of a case will be until, the lawyer has fully examined the facts of the case, identified and spoken with the prosecutor and judge, and discussed in detail your criminal past, and your goals for the case. 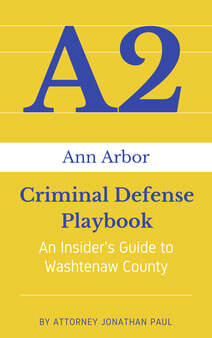 There are two things you should do when charged with a crime in Washtenaw County. Set goals, and have a plan to reach those goals. Hiring an attorney can be part of that process, but paying a lawyer doesn’t create goals or a plan. Just like paying a construction crew doesn’t provide goals or a plan to build your home. If you let a lawyer or a construction crew simply “handle” your case, you’re bound to get the same result as everyone else in court that day, and to get a cookie cutter home that matches what all the neighbors have. Have you ever been in trouble before? What police department was involved? Do you know the charges? Do you have a court date set yet? Depending upon the facts, I will go into more detail, but the key is to simply learn more about the case, before I can answer the original questions of how much I charge, and what’s going to happen. Before i even get to those questions, I tell my client about my exclusive representation policy, and how all of my clients are required to be on my proactive program from day one. I do not take cases where the client is not willing, or even unsure about participating. I have too many potential clients that are motivated to follow my program, and will suggest that the unwilling party contact a different lawyer. Based on my experience as a prosecutor in New York City, and here in Michigan, I’ve worked on the other side of thousands of cases of other criminal attorneys. I identified what worked, and didn’t work with their clients, and took that experience into private practice, and developed a comprehensive program, which my clients follow from day one. The philosophy of my approach is simply WINNING. Most people viewing WINNING as a victory at trial or getting a case dismissed; those results would certainly qualify as WINNING, but the process is not that cut and dry, and those results are quite rare. In my experience, there are a number of ways to WIN your case, and each stage of the case can go a number of different ways. WINNING comes down to opportunity, and time is a valuable asset in a criminal case. With that time, you need a plan. With that plan, you set goals within the framework of the facts of your case. By setting those goals, and laying out a comprehensive plan, you’re committed to reaching those goals, and creating a customized outcome. An outcome that may not have been available to you without your plan. It’s an opportunity to not be judged solely on your case, but on your past, present and where you’re going in the future. Right now, the judge, prosecutor, police, probation and your community are simply looking at the police report, the charges and the likely outcome of this case, and allowing it to define who you will be going forward. That’s simply not fair to be judged on a single moment in time. It gives no credit to past accomplishments, present responsibilities and future goals. And I don’t mean your lawyer telling the prosecutor that you have a job or kids to take care of; words have very little value in court. WINNING in Washtenaw County is about actions, because you allegedly committed this crime(s) with all of this in place, and it didn’t prevent you from being charged. 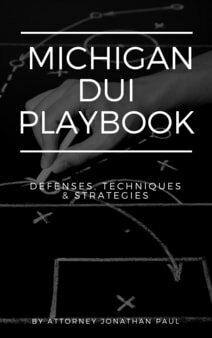 If your family, job and responsibilities could be impacted by your DUI charge, you should not have put them in jeopardy to begin with, so those words alone don’t mean anything to a prosecutor and judge. It’s more about what you’ve done in reaction to the charges, and projecting what you will do in the future. I will get into more detail on how you can WIN your DUI case a moment. To quote a local judge “if you wanted that to happen, you would have already been doing it before coming here to court”. That’s what being proactive is all about. Committing yourself from learning from the situation you’ve been put in. Being charged with a crime in Washtenaw County throws you into a deep ditch; any lawyer can tell you to climb out; but that isn’t very helpful. What’s the plan to get out? Even if your case is ultimately dismissed or you’re found not guilty, being in this situation is an opportunity to learn more about yourself and your decisions going forward. You may be a great person, mom, dad, husband, wife, employer, business owner or productive member of your community, but you still found yourself in this bad situation. A police officer found enough reason to arrest you, a prosecutor found enough to charge you, what are you going to do now to help yourself? 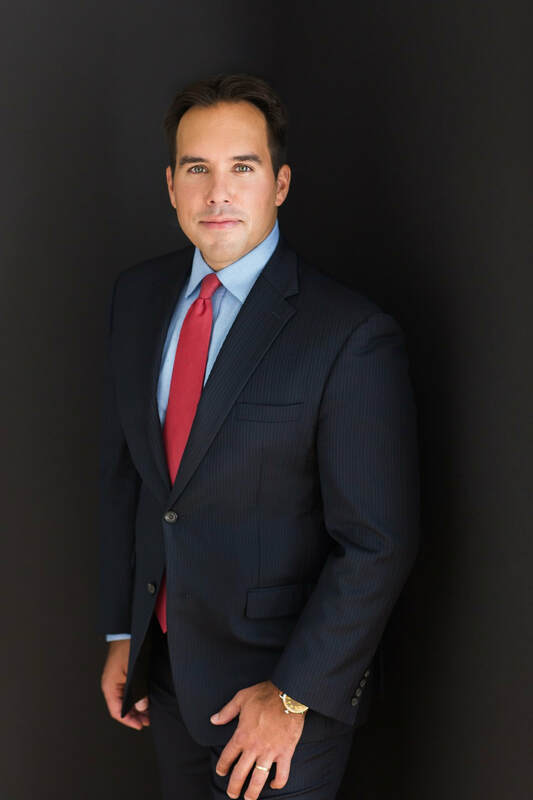 I only agree to take on those clients that are willing to be proactive, because it’s my role as your attorney, to not only help you inside the courtroom, but help you outside the courtroom. You were charged with a crime for some reason, we are going to explore why, and help you learn from it, and set goals for going to court. Each type of case has it’s own elements that we make part of the plan, but each plan is customized to the individual client’s needs and specific facts of their case. Let’s now explore the different plans, which I put into play for clients on a few different types of cases. I will give what I believe is the judge’s point of view on each case, what the prosecutor is thinking, and how we overcome the perceptions of your case from day one.